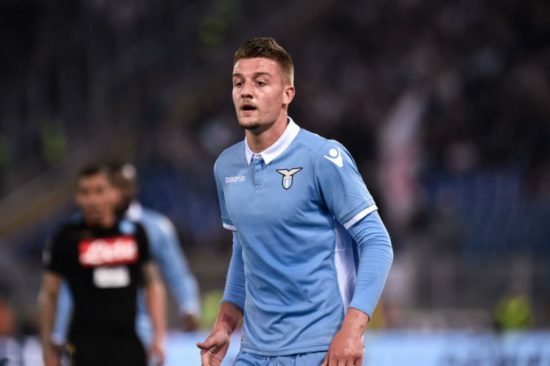 Manchester United are reportedly preparing a ‘huge offer’ to finalise the deal for Lazio’s Sergej Milinkovic-Savic. Milinkovic-Savic’s World Cup performance can be said to be impressive as it has ignited the interests of Europe’s top clubs. According to reports in Italy, United’s coach Jose Mourinho is bent on bringing the 23-year-old midfielder over to Old Trafford before the Thursday’s transfer deadline. Meanwhile, Real Madrid have been formerly linked with an interest in Milinkovic-Savic but the club perceived any offer more than £89m (€100m) to be on the high side. Also, reports from Calciomercato stated that the Red Devils are ready to go to any length in getting Milinkovic-Savic signed but with the transfer deadline on Thursday, United are in a rush hour to close the deal. Meanwhile, Lazio’s asking price for Milinkovic-Savic amount to a whopping £138m (€155m) that is considered to be high but the English Giants are ready to come to terms. Milinkovic-Savic’s representatives Mateja Kezman and Uros Jankovic are already putting everything in place to facilitate Milinkovic-Savic move from Lazio. However, Mourinho is quite prepared to bolster his squad strength in preparation of the new season and making sure he meets up before the transfer deadline passes.